The RS20 from Uniroyal is an all-position steer tire designed to deliver excellent durability and driver confidence in regional, long haul, mixed service and urban applications. Built with Uniroyal's patented DuraShield construction, the tire offers excellent stability a long, even wear life. Its tough, solid shoulder design is optimized to fight scrub, minimizing downtime and providing drivers with years of reliable service. Delivering low rolling resistance and exceptional retreadability, the RS20 comes SmartWay verified and is a dependable commercial tire that will keep your production moving. 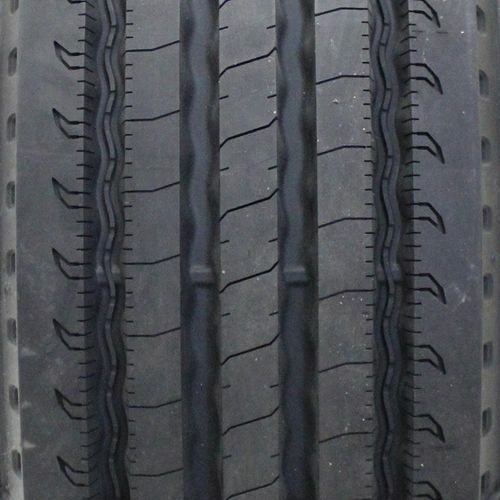 245/70R-19.5 N/A 0 lbs 0 psi 0/32nds N/A 0" N/A 0"
Purchase includes the Uniroyal RS20 tire only. The wheel rim shown in the picture is not included. Picture provided is a stock picture from the manufacturer and may or may not reflect the actual product being ordered. 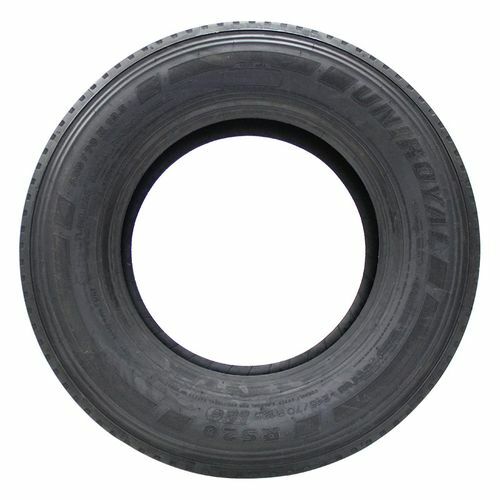 All Uniroyal RS20 tires are continuously developing with manufactured improvements. With that said, Simple Tire and the manufacturers have the right to change these tire specifications at any time without notice or obligation. Please Note: Specifications of the Uniroyal RS20 tires shown above are listed to be as accurate as possible based on the information provided to us by Uniroyal tires. Haven't put many miles on these yet but definitely a huge improvement in handling, noise, and ride from the Goodyear 647rss tires that came on my used step van. They are made in America for a good price. Wish I had bought all six BEFORE the price jumped. I agree 100% with Adam's review after buying 6 RS 20 Uniroil 16 ply tires for my class A 40' MH 34K load capacity. They mounted easly on my chrome aluminum wheels and did not need to be balanced. I have been driving on them for only two weeks and they are smooth at all speeds. No issues. I will follow up if anything comes up in future, but as of now fellas," I don't think you can beet these tires for the money an quality". Made in USA,New tires, 16/14 ply,Uniroil is oldest tire mfg. in country. Tiger Paws on GTO,S and a lot of other muscle cars in the 70,s. Ask yourself,how long has it been since you had new "Tiger Paws" on your ride ? I would prefer to rate these after a few years but since there are no other ratings so I am rating them now and may come back at a later date and rate them again. I had Michelin tires on my F450 previously, they had to be replaced due to dry rot, not lack of tread. I spent several months looking here and there for the best tire for the money, usually the best tire for the money are the Michelin retreads. 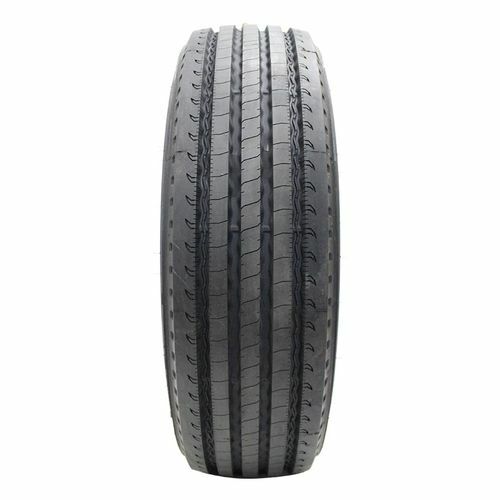 These are very good tires, better than the chinese or Korean tires you will buy new. However when I spoke to the commercial tire store we use they told me about the RD30 and RS20 Uniroyals, that are also made by Michelin and made here in USA and at a very affordable price, just a bit higher than retreads. So I went with them and am happy I did. 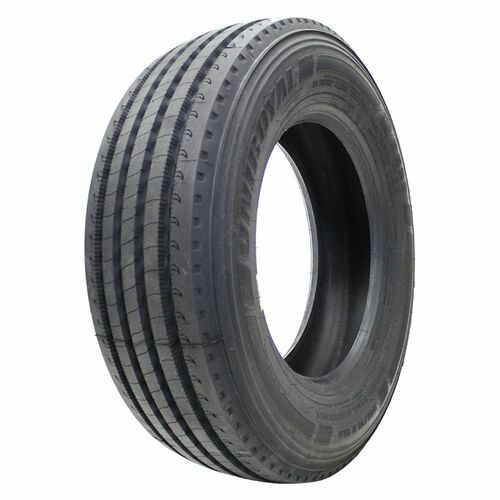 The RD30 is a well balanced tire with a closed shoulder and aggressive tread. I would not want a tire that is any more aggressive. It is a fine drive tire and if you prefer to run aggressive tires on the front then it would be a fine steer tire. For me I prefer a quiet some what aggressive steer tire, I did go with the Uniroyal RS20 simply because it is made in usa and by michelin, it is not agressive at all, and I would have prefered it had been just a bit more aggressive but the price is amazing so I went with it. I would say for the price the RS20 and RD30 Uniroyals are impossible to beat. If the RS20 had just a tad bit more aggressive tread i would rank it as perfect. I rank the RD30 as a 4 out of 5 and the RS 20 as 4 out of 5 as well. I am running these combos on 3 F450s as of today, all three are 4 wheel drive.